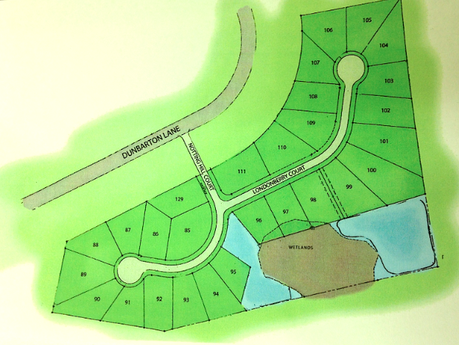 Shaftesbury Greens features new homes in Conway, SC starting in the $180's. One and two-story homes with open plans, kitchens great for entertaining, bonus rooms and two car garages. Homes range from 1,555 to 2,000 square feet. Exceptional features are included - such as 2 x 6 walls, Stainless Steel appliances, 16 Seer Heat Pumps, and much more - and H&H Homes offers a generous list of options to personalize your new home. HOA Fee includes trash pickup. With any purchase of a new H&H Home, you get free golf for life! All new H&H Homes are ECO Home Certified - our exclusive program that ensures that your home is built with energy efficient features and construction techniques so that it costs less to operate and to make your life more comfortable. Shaftesbury Green Community is located right off of Highway 905. Check out a video about Shaftesbury Glen Golf Course.